I have been wanting to make some mini patchworks for ages, so as usual I save all my scraps and now have started to make these. 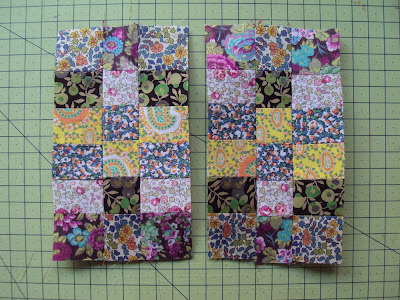 The squares start off at about 3cm before they are sewn. I think I could make them smaller but I need to do the patchwork properly for that to work. 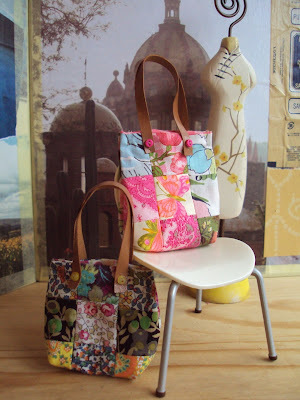 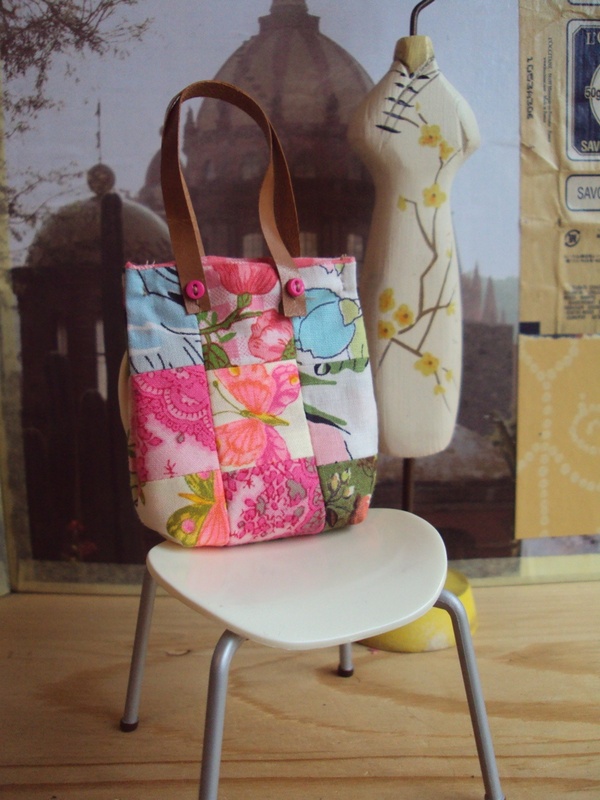 I love how the vintage fabrics go together, that's the pink one.